per adult and $22.99 per child (ages 4-12) using our COUPON valid on St. Patrick's Day. and loads of non alcoholic beverages. 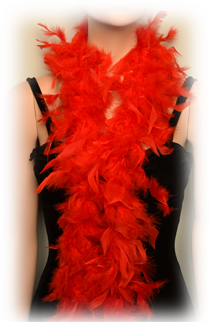 one-of-a-kind cabaret and speakeasy live stage show. truly makes this show a blast from the past! "St. Patrick's $34.99 Special" if you are calling in your reservation. You may also present the coupon at the box office on March 17, 2020.
you will recieve the discounted ticket price automatically! We'll see you March 17th! Since 1992 we’ve entertained guests with our one-of-a-kind prohibition era speakeasy. We hope you will enjoy the video (link below) and will spend some time browsing our WEB SITE where you'll find our MENU, SPECIALS, more information about our SHOW, guest COMMENTS, REVIEWS and much, much more. Enjoy Capone's Dinner & Show this St. Patrick's Day, you'll be glad you did! 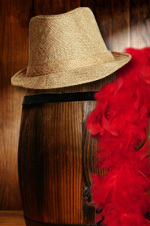 Get spiffied up by adding a boa or fedora to your wardrobe to wear during your visit!